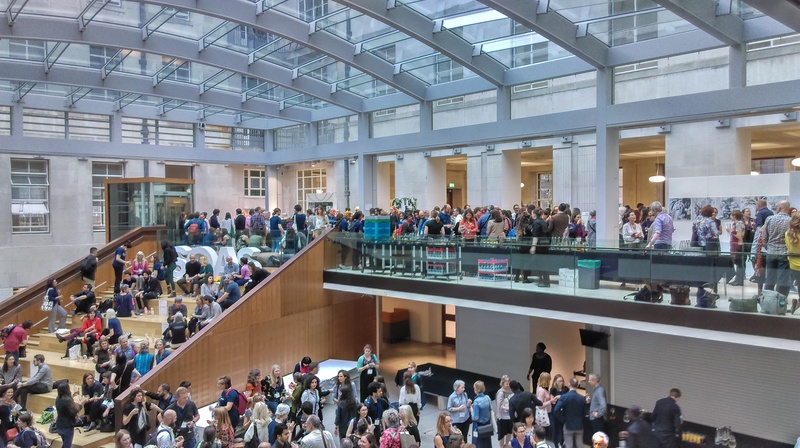 In June 2018 I was invited by the Royal Anthropological Institute to create an installation for their Art, Materiality and Representation conference at The British Museum and SOAS in London. Using plastic flotsam gathered from the UK coastline, I created High Water Mark (2018), a tideline weaving its way through the conference opening reception, as part of the Stories in the Making exhibition. 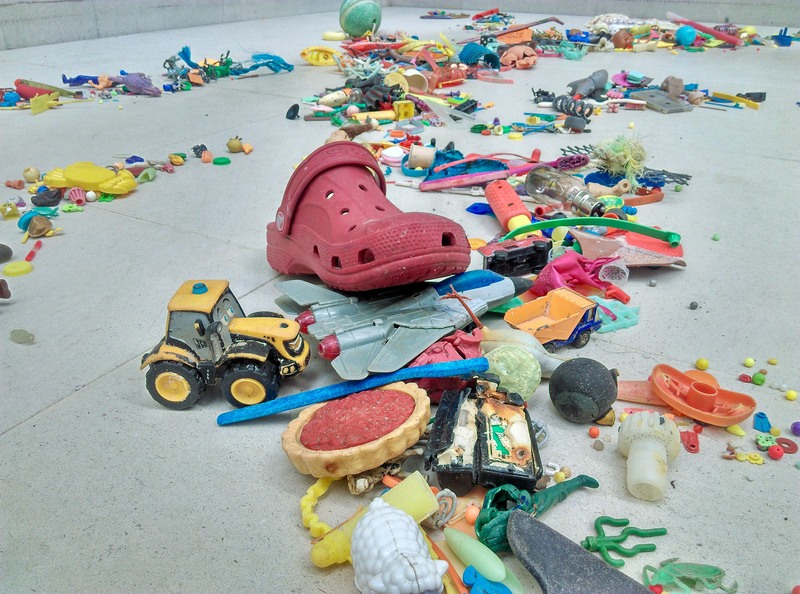 It was an opportunity to showcase the variety of items which form our material culture and will undoubtedly become the relics of the future, given the longevity of plastic. I found the anthropological context of this exhibition especially fascinating, having long thought of this discipline concentrating on the study of distant cultures, be they ancient or exotic. 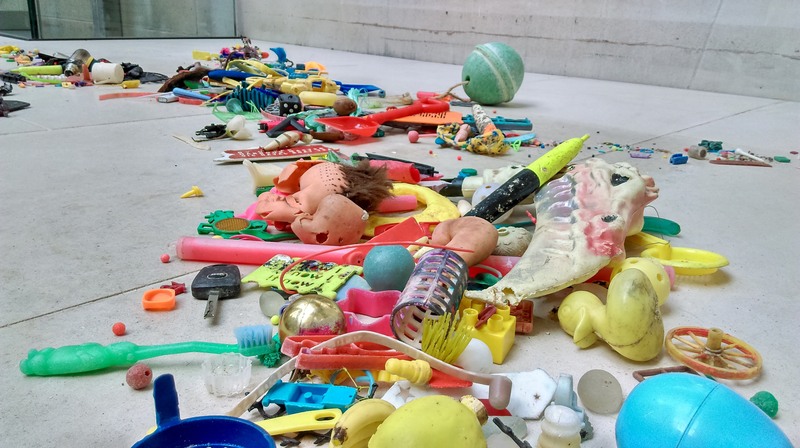 To see common plastic items of my lifetime as subjects of study was particularly powerful, as I saw my belief that stories really are at the heart of human culture. This was evident in the number of anecdotes and memories people were keen to share, prompted by the plastic ghosts curated in my high water mark.